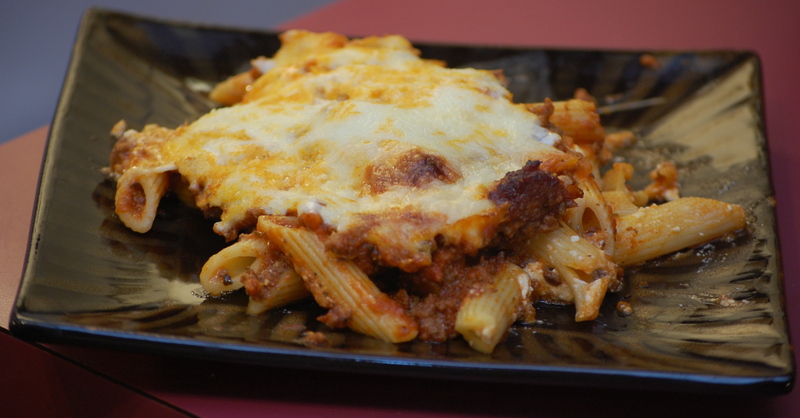 I love making recipes that I can split in half and freeze the other half 😀 My family is not a big casserole type family, but they’ll usually go for this Baked Ziti. 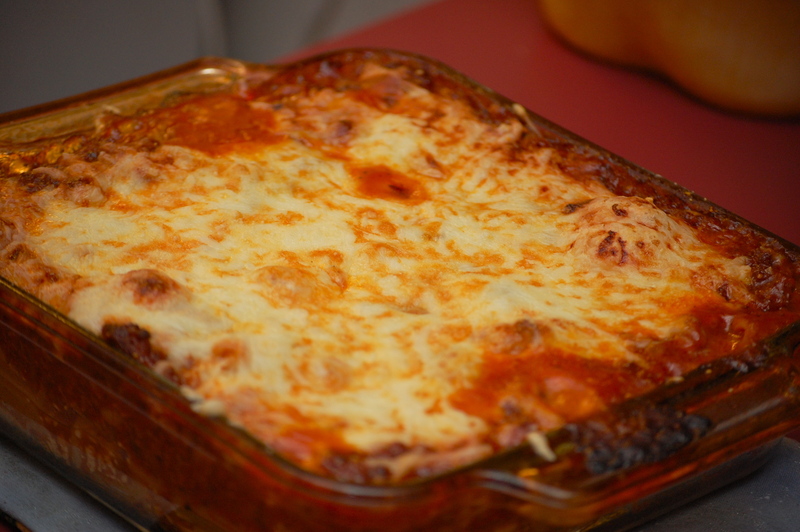 It’s hard to resist pasta and “red-sauce” (as my kiddo’s call it) and lots of gooey cheese! This would be great with French Bread, but I wasn’t on the ball enough to make it today. I’ve been babying two sick boys (the whole congestion crud with temps and sore throats). Preheat oven to 350 degrees. Heavily grease two 8×8 pans or one 10×15 or one 9×13 (but you’ll want to scale back a little on the cheeses if you go with the 9×13 – mostly because it won’t all fit!). Boil and prepare pasta according to package directions. Brown beef and sausage with seasonings; drain off grease. Add spaghetti sauce. Simmer for 10-15 minutes. Layer ingredients as follows and bake for 30-40 minutes. If you’re wondering about the pizza seasoning and the italian seasoning, I got them at Glenn’s Bulk foods that I mentioned about here and here and here. If you’ve never been there, and you’d like me to pick something up for you (or you have been there and you’d like me pick something up for you :D), let me know. I’ll probably be making a trip there next week. Or maybe you’d like to go with me? Let me know and we can set something up!